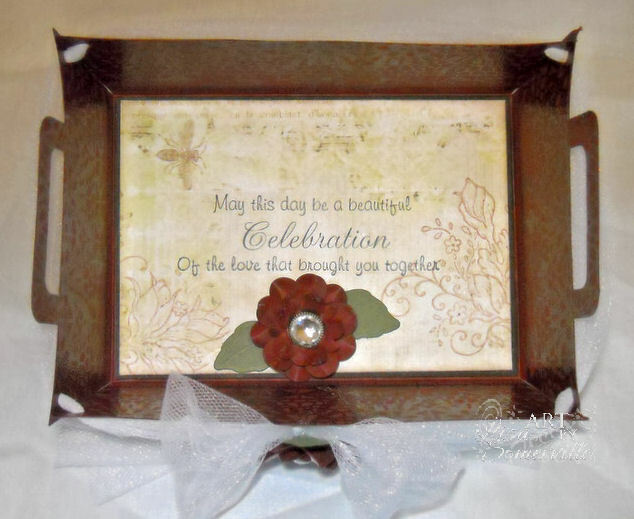 Welcome to the Creations by AR Design Team Blog Hop! Today, Creations by AR is releasing THREE new templates. Each of the Designers will be giving away one of the new templates, so you'll have plenty of chances to win! To participate and be eligible to win a free template, simply leave a comment on this post, by June 29th and let me know what type of challenges are your favorite. Winners will be announced on the Creations by AR Blog on June 30th. Don't forget to hop over to the other DT members Blogs and comment for multiple chances to win! 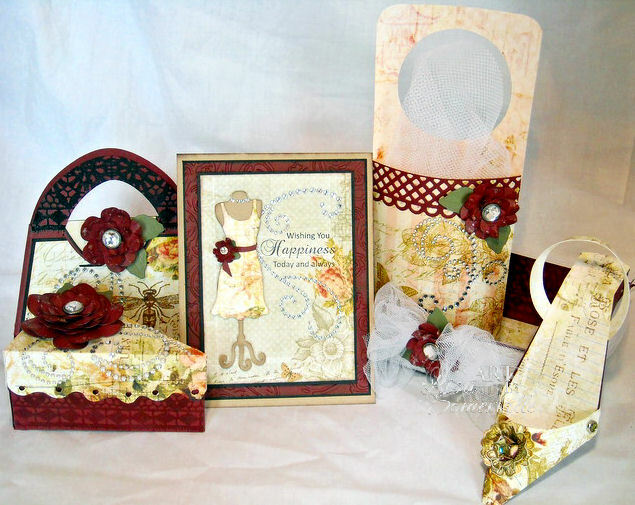 Using the new templates along with other recent store additions, I created the Wedding Ensemble shown above using Pink Paislee Pattern Papers along with Heartfelt Creations Stamps and Dies. The Silhouette was used to to die cut the patterns on my projects, but they are also available as PDF's and SVG files. Before I share the projects I created with the new templates, I wanted to share a card I created with the new Window Dressing Cut File. If you've always wanted a Dress Form, this is the one to have, it comes with the cutest little dresses and sash! I thought it would make a cute Shower Card. 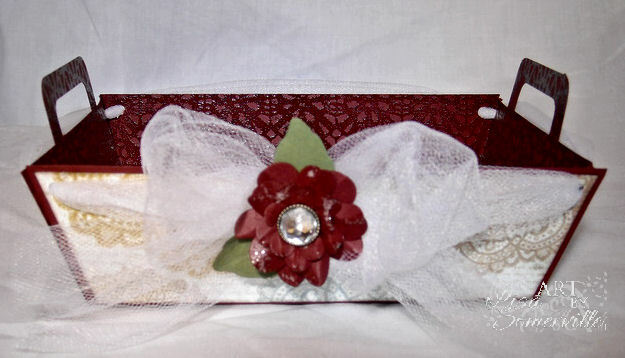 The first template I used is Tray Chic, again keeping with the wedding theme I decorated the inside and tied the tray together with some Tulle, adding a Flower to the center. Note: all flowers are created with Heartfelt Creations Posy Patch Stamps and Dies, the leaves are die cut using Spellbinders Foliage Shapeabilities. How about some stylish heels! Every gal needs a pair of classy heels, right? The Elegant Sole Template makes having shoes in every color and pattern very affordable! Every girls needs a matching Bag for her shoes - the Gift Card Holder with Purse-onality is perfect for those hard to buy gals! ETA - congrats to Dani, you are my random winner for a free template. Please email me with your information. Love the victorian feel of the paper choices. Love the tray. such a neat idea. I'm now lost on this blog hop. Not sure if I've already left a comment. Your artistry and creativity leave me spellbound. Oh very nice, love it. Lisa, your creations are fabulous...what a beautiful selection! Wow! Your wedding ensemble is incredible. Makes me want to get married again! I'm in love with the tray you designed. Stunning collection and even more beautiful IRL! Love all the beautiful details on each individual piece! What a gorgeous combo. I love it all. Love beautiful dress and love tray!!! Lisa, you work always inspires me! Such detail! Thanks for sharing these beautiful projects! Ficou muito bonita a sua versão para esse sapato. Amei ! It was pretty much their version of this shoe. Loved it! elegant and cute job, comgatulations!!! Congrats on beeing on the design team. Your works look great. My favourite is the card, it is just wonderful. Well, I actually don't have a favorite type of challenge. I like them all. Love the red accents. It is truly inspiring. Lisa, since I haven't been able to participate in Blogger's Challenge for way too long, it is so good to get to see your creative works again! This ensemble is so gorgeous -- I am loving that dress form and can see making all sort of things with it. Have never worked with digi, cut or any of these other types of files though. As far as challenges, I'm truly more of a sketch, color or inspiration challenge type gal. I love making things with a theme as well and this wedding theme you've used, along with this incredible paper is awesome! Everything looks so elegant! Good job! Your projects are goreous. Thanks for sharing with us. Love your creations! They are so elegant. My favorite challenges are color challenges. TFS! I like to do color challenges and I love the color combo you used with the new templates! Fabulous set. Love it all together. Lisa, you are just a huge talent! Love each and everyone of these! Beautiful! My favorite challenges are those with techniques (such as GM) and sketch! Son preciosos, me encantan los papeles que has usado para crear un conjunto tan elegante. You did a fabulous job on your projects, Lisa! Absolutely gorgeous! I just love all the embellies and the designer papers you used! Very elegant, for sure! Beautiful card! 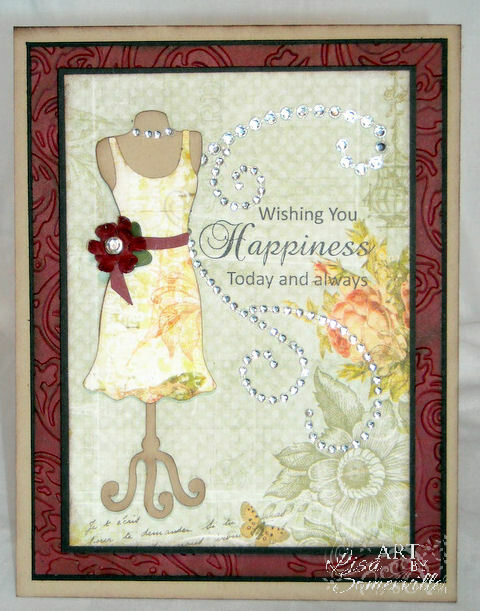 Your choice of embellishments on templates is stunning. I find inspiration from any 3D challenge! What a darling project!!!! LOVE all the goodies you created! Love the patterns. The colors are wonderful! Lisa these creations of yours are just gorgeous. That form looks like a mist have. I love challenges that are a bit "challenging", sketches and 3D's. Dear, dear Lisa! Drop dead gorgeous creations! I couldn't help but share this set you made with my family last night. Thanks for sharing such beautiful work! Big hugs! The designer paper you used on these beautiful templates is simply stunning. And I am so glad to see the beautiful burgandy flower because it gives it that vintage feel. Any challenges to do with vintage designs are my favorite. You did an amazing job on the templates as well as on your card. Love your card, so pretty... your take on these new templates is just beautiful... love your work! Wow, you've been busy! I would love a pair of those shoes IRL! They are gorgeous! I'm speechless as to just how beautiful this entire set is. WOW!!!! My daughter is getting married this fall and your card would be perfect for one of her showers. Thank you for sharing with us your beautiful projects!!! I love this wedding set, especially the tray - it's just precious. I What a great idea for a wedding gift. Fabulous and love the vintage look of the ensemble - well done! Your ensemble is great. I like it and I like any kind of challenges. These new templates are great, love the versatility! As for challenges, I like to have a theme or a new technique to try. I tend to be a bit slow at the creative process, so anything that can help me with inspiration is welcome. Thanks for asking us what we would like. Fabulous job with all the templates and card! Wonderfully creative designs Lisa! Thanks for the inspiration. Awesome creations. You had me at the card and then there was more! Love these templates and will have to try them out. I love the colors and papers that you used. Thanks for the chance to win! Wow!! Amazed at all the beautiful creations!! wow, what a great collection here Lisa, great colors, love that card! Your work is fantastic. I'm a shoe fan so I particularly love the shoes. As for challenges, I like the sketch and color challenges. Wow, such fantastic pieces. So wonderful. Lisa, this is beautiful. You make me wanna try the tray next! Love the paper choice. It has such a romantic feel to it. . perfect for your wedding theme. Tray Chic is tres chic!! You did a beautiful job, your creativity just went on and on.I like the colors and papers. I had almost given up ..could not find the comments ...and then when I went to close down there it was..oh boy . I loved your creations and was devastated when I thought I wouldn't be able to leave a comment. Thanks for sharing. LOVE LOVE you entire set! So beautiful!!! Great job. 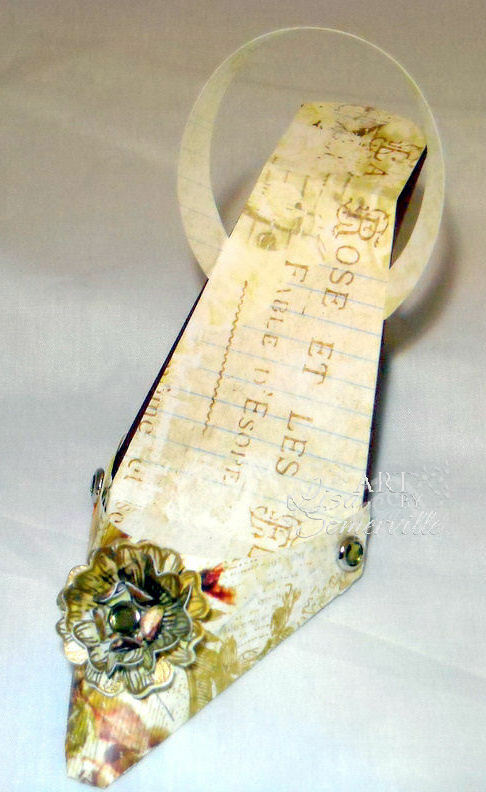 Your paper choices are perfect for the shoes and purse. Since I am fairly new to paper crafting I am challanged by any new thing that I try. But I am having so much fun. Thanks for sharing today. These are to die for, you are very talented. I love a colour challenge, I'm hopeless with colours. Speaking of colours I love the warmth of these. They look so real with there victorian style. I love the paper you use to create them. I just have one word to say..."Awesome". Love your creations especially what you did on the dress template :) its my first time to do blog hopping and it aint a disappointment! I like the vintage look and colors you chose for your collection - nice! I do card challenges that work into my schedule, are not time consuming so I can be sure I can commit & complete before the challenge ends. I love the projects, they are all so beautiful! the DSP you chose is to die for!!! Amazing!!! Beautifully done. I love the colors and the embellishments used. Great job on all of them. Love all the different elements you use too. I like the tray but the shoe is realy fabulous. I especially like your treatment of the Tray Chic. I loved that you tied it together with the tule running through all the corners. I loved it! Lisa you did a great job!!! I love all the projects and all match! beautiful! All your work is amazing. It's so beautiful. TFS. Really beautiful projects you created. The box is gorgeous and the colors you used for this are perfect. 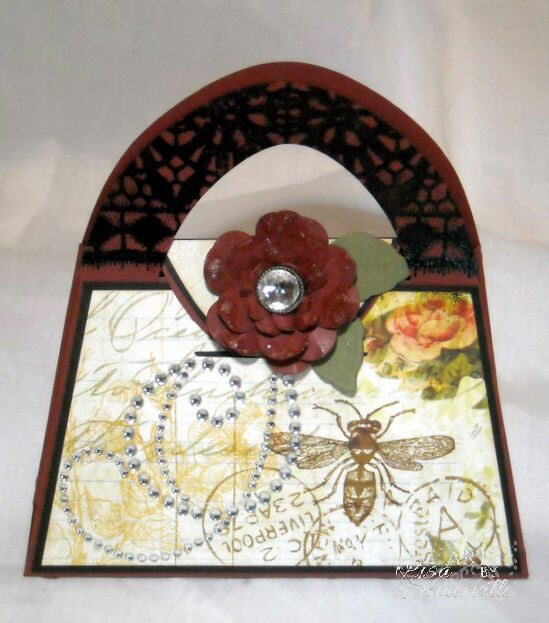 Lisa, what a fabulous use of some gorgeous HFC products! I love all your projects, you are just so talented! Right now, making shoes is one of my favorite crafts! Gorgeous projects, Lisa! Love the papers and stamps and details! These are so beautiful! Look so labor intensive but well worth the effort! Wow love each and every one of your projects. Love the colors. My favorite kind of challenge is a color challenge. Hugs, Teresa E. Wow!! Your work is amazing! I love how everything goes together. Just BEAUTIFUL!! These new templates look like so much fun!! Wow. very nice, love it. Your proje ts are stunning! I adore the card...such beautiful colors. OMG, stunning. Love your projects. I really like challenges where a template is given and everyone comes up with a different look. OMG, your creations are simply gorgeous!! Love them all!